Fascinating findings. Thank you for sharing. Regarding the exclusion of Ben Carson from your findings, since he’s running close behind Donald Trump in national polls, what makes him an unlikely candidate? I’m not a Carson supporter, but as an African American, I’m curious how he compares to the others profiled here. Thank you in advance for your reply. 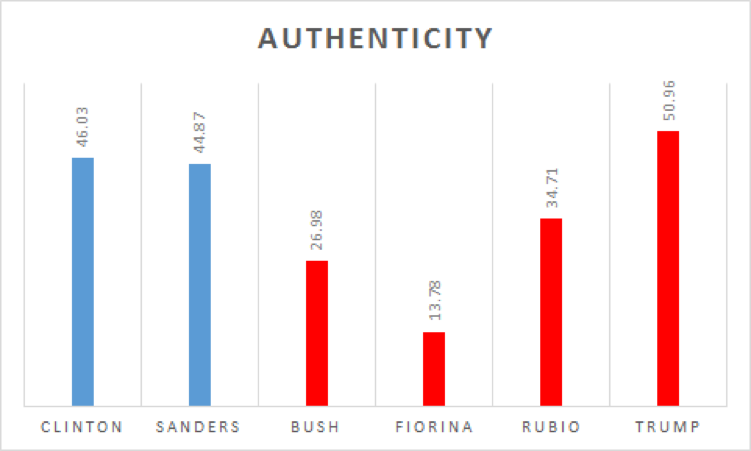 I’m trying to keep the number of realistic candidates to a minimum. 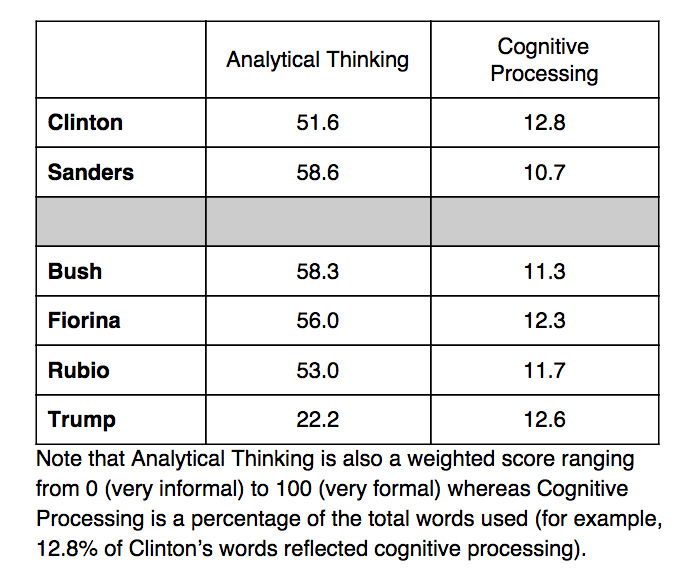 Hanging around with a number of political scientists, they think the best estimates of likely candidates are the betting pools such as http://www.oddschecker.com/politics/us-politics/us-presidential-election-2016/winner. Using this, Ben Carson is simply not a realistic option. 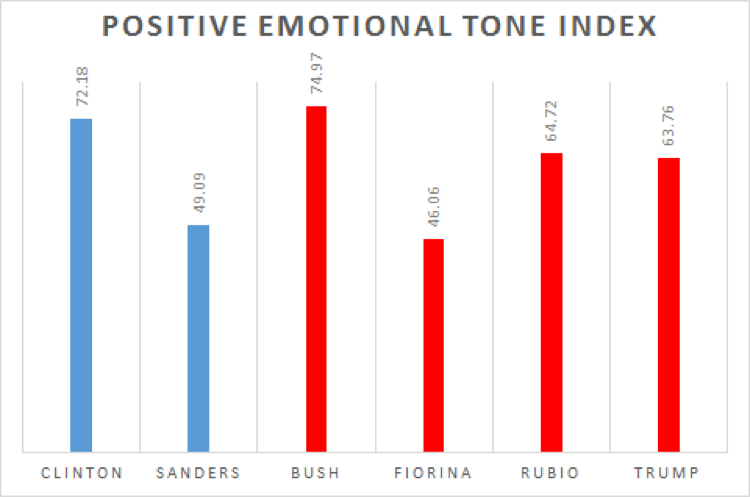 As of the last couple of days, Fiorina’s numbers aren’t too compelling either.